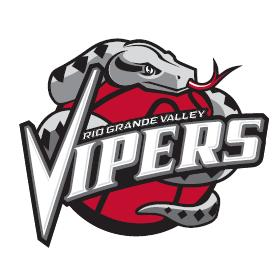 EDINBURG — The RGV Vipers found themselves down by 27 points in the first 14 minutes of their game Friday night against Salt Lake City. Twenty-two minutes later they were ahead by 20. Unfortunately for them, the game lasts 48 minutes. Salt Lake City went on a 17-0 run in the game’s final four minutes and pulled off an exciting, and exhausting, 119-114 win over the Vipers, sending RGV to its second straight home loss after starting the season 5-0 at Bert Ogden Arena. Jairus Lyles scored seven of his game high 29 points during that final run that pulled Salt Lake City to 5-5 overall while RGV fell to 6-5. Usually calm and stoic on the sidelines, Vipers coach Joseph Blair was energized and even played cheerleader during the monumental comeback, encouraging players and throwing his hands up in the air with excitement when Brandon Knight hit a 3-pointer to give the Vipers a 66-65 lead with 7:15 left in the third quarter. That three was part of a 48-20 run that turned the 27-point deficit into a one point lead. After three quarters, RGV held an 87-79 advantage. Playing back to back nights against taller and stronger opponents while 7-foot big man Zhou Qi, ranked No, 6 in the league in rebounding, is playing with the Rockets, clearly took its toll, despite strong play from both Bruno Caboclo, Chris Walker and a host of others trying to slow down the Stars potent inside game. The Vipers connected on 21 of 51 3-point attempts. Michael Frazier netted five threes while Vincent Edwards and Brandon Sampson hit four apiece. Seven different Vipers scored off a 3-pointer. The Stars took their lead early behind the inside power of Willie Reed and Tony Bradley, who combined for 36 points, 28 rebounds (the Vipers had 35 rebounds as a team and a shooting percentage of 58 percent. Reed came into the game ranked first in field goals made per game less than 5-feet from the rim (9.4), first in points in the paint (21.1), second in second-chance points(8.2) and second in field goal percentage (.722). “We went into the game and I told them that we needed to gang rebound every ball,” Blair said. “That means our bigs may not get their double-double but their job is to stop the other bigs from getting the ball. During our run especially, we did a good job with that. Still, the Vipers were outrebounded 54-35 and the Stars tallied 29 second-chance points to just 10 for the Vipers. There is not much rest in sight for the short-handed Vipers. They play six of their next eight games on the road. That runs starts Monday at Salt Lake City. “Hopefully we’ll figure that out,” Blair responded when asked about finding ways to get his team some rest. “We try to find ways to rest our guys as much as possible, but it’s just a difficult situation, which is the league. You don’t have time to practice, there are things you want to clean up, but you also don’t want their legs working too hard. “You just try to find that right balance and when game time comes, you hope you’re ready to go.